BBC News is an operational business division of the British Broadcasting Corporation responsible for the gathering and broadcasting of news and current affairs. The department is the world's largest broadcast news organisation and generates about 120 hours of radio and television output each day, as well as online news coverage. The service maintains 50 foreign news bureaus with more than 250 correspondents around the world. 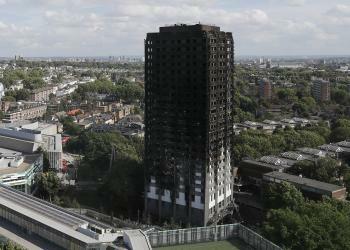 Latest trends and discussion about news in the United Kingdom, including the high-rise fire in London. The miniseries will re-examine the unjustified 1990 convictions of five young men in New York City. A California couple's children have forgiven them for years of torture and starvation as the parents were sentenced to life in prison. David and Louise Turpin's children told a court they still love their mother and father despite all the abuse. The couple were arrested in January 2018 when their 17-year-old daughter escaped the filthy home in Perris. The Turpins pleaded guilty to the abuse of all but one of their 13 children for at least nine years. They are expected to serve the rest of their lives behind bars, unless granted parole in 25 years. What did the children say? The court heard victim-impact statements from four of the children at Friday's hearing. "I love both of my parents so much,"